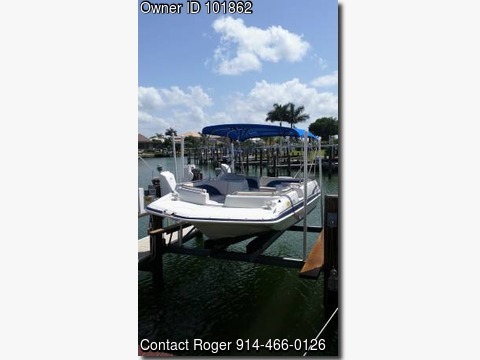 Boat is located in Marco Island,Florida..Please contact the owner @ 914-466-0126...1998 - 201 (20'1") Godfrey Hurricane Fun Deck boat. Cushion is very good condition. Bimini top and full canvas boat cover less than 3 years old. 115 HP, 1998 Yamaha 2 stroke outboard with about 600 hours use. Two recent Marine Batteries and bilge pump. (Needs new speakers) Boat currently on lift in South Marco Island.